Cranberries are so delicious and really do remind me of the holidays. 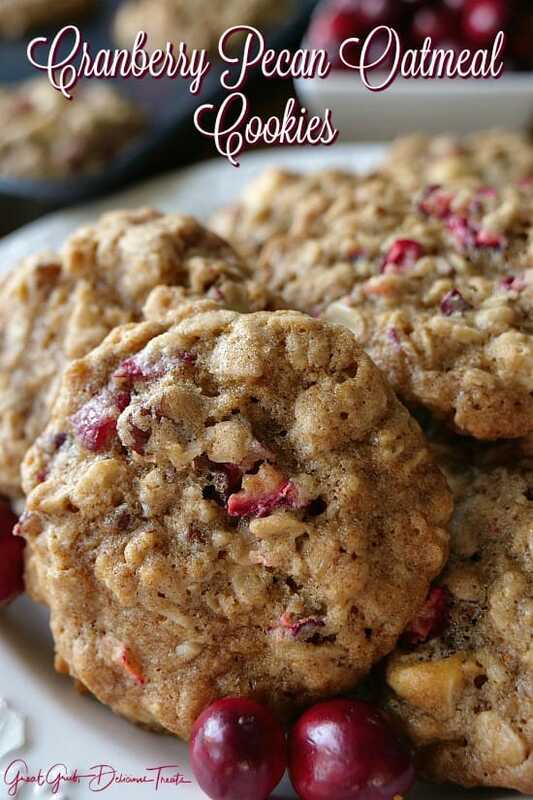 These cranberry pecan oatmeal cookies are super tasty and with the tart bits of fresh cranberries, delicious pecans and the white chocolate chips throughout, there is amazing flavor in every bite. 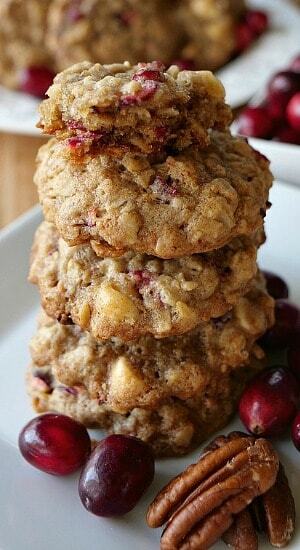 Cranberries seriously are perfect to add to most dessert recipes when fruit is the main ingredient. 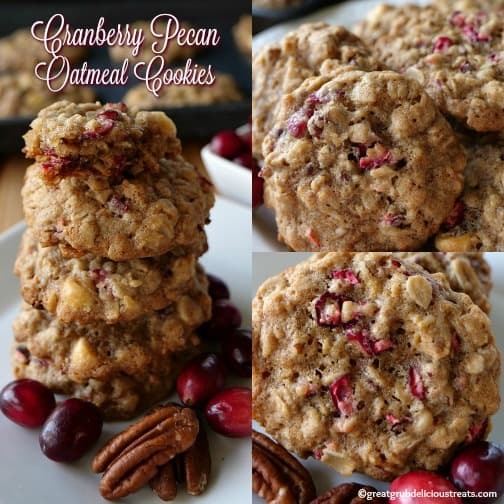 I have recently made a Cranberry Orange Pecan Loaf that is AMAZING as well as a Cranberry Orange Pecan Crisp that uses fresh cranberries and boy are these desserts delicious. Look at those fresh bits of cranberries. I made these cookies for my daughter and son-in-law while they were visiting over the Thanksgiving weekend and every cookies got gobbled up. They are both in the military, my daughter, Nikki, is in the Navy and Justin, my son-in-law, the Marines. It was great having them out here to celebrate the holiday. When chopping the cranberries, make sure that the pieces are pretty small as well as the pecans. With only a small amount of time in the oven, the smaller the cranberries are the better they bake up. 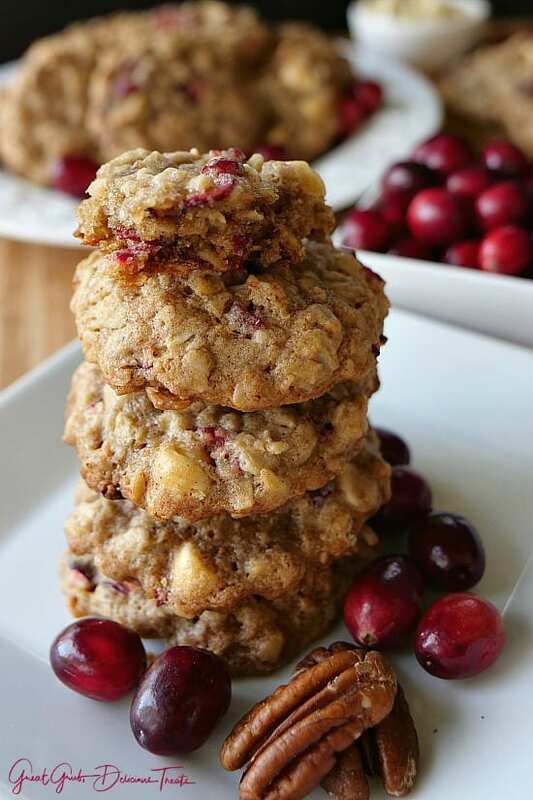 Soft, chewy and delicious, these cranberry pecan oatmeal cookies are perfect for all the holidays. Perfect for cookie exchange parties, pot lucks, or just for enjoying the awesome flavor of cranberries. Everyone loves cookies so here are a few more cookie recipes you can find on the blog: Soft Chewy Molasses Cookies, Pecan Diamond Cookie Bars, Christmas Sugar Cookies, Hockey Puck Chocolate Chip Cookies, and these Peppermint Sour Cream Softies. Using a large mixing bowl, add butter and sugars and beat until creamy. Mix in eggs and vanilla. Beat until well combined. In a separate bowl, whisk flour, baking soda, cinnamon and salt. 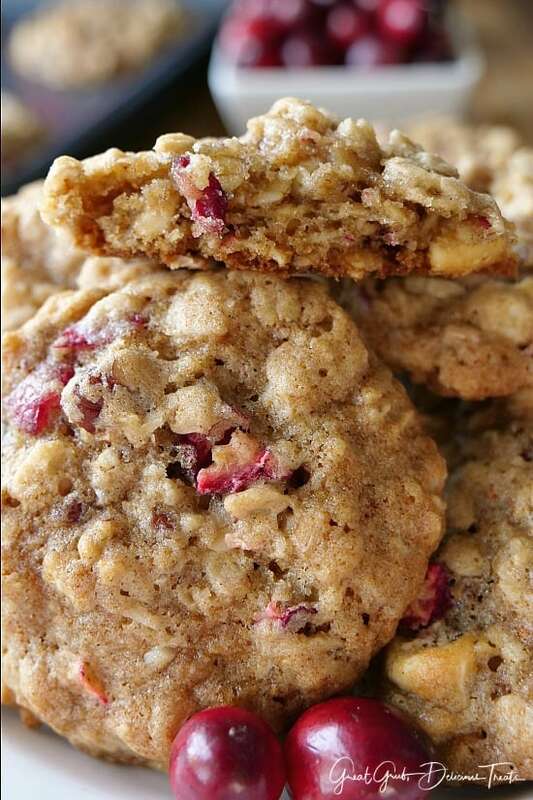 Stir in oatmeal then gently stir in cranberries, pecans and white chocolate chips. Bake for approximately 10-12 minutes or until cookies start to brown around the edges. 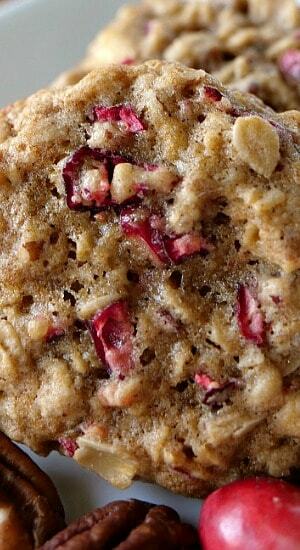 Adapted from my Oatmeal Craisin White Chocolate Chip Cookie recipe. Can you leave out white chocolate chips or use semi sweet chocolate chips instead? Old fashioned oats is what was used with this recipe. Enjoy! 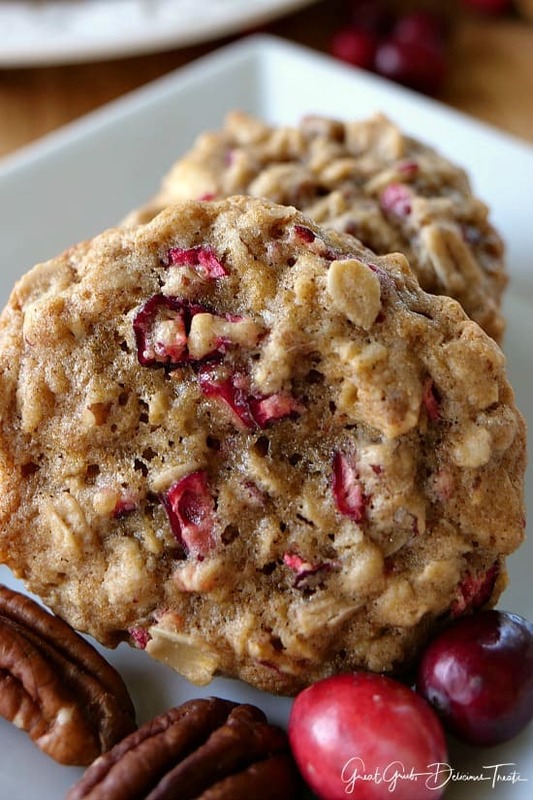 The cranberry pecan oatmeal cookies look awesome. Can you use crasins instead of fresh cranberries? Thank you! 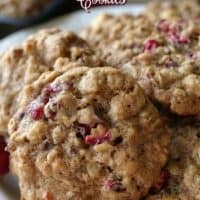 I was looking for a perfect cranberry cookie recipe! I’ll be baking this weekend!